Burlington Records on the corner of Bank & Church has a Waltham built Timecaster for sale on commission. It's a bolt-on with a mahogany body & maple board. 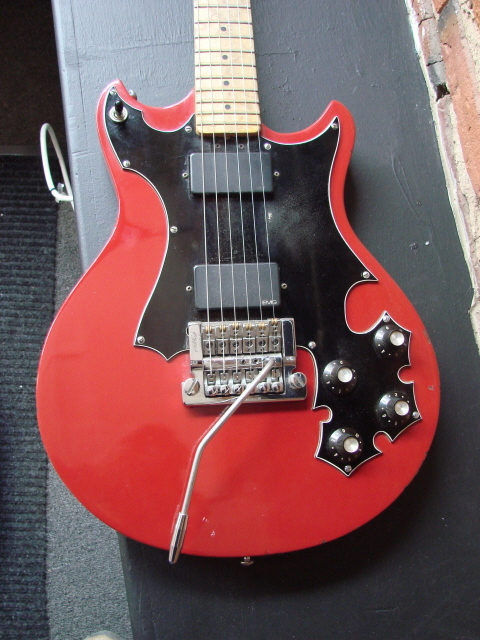 It is in fairly good condition, but has EMG pickups and a Kahler stud mount tremolo installed. 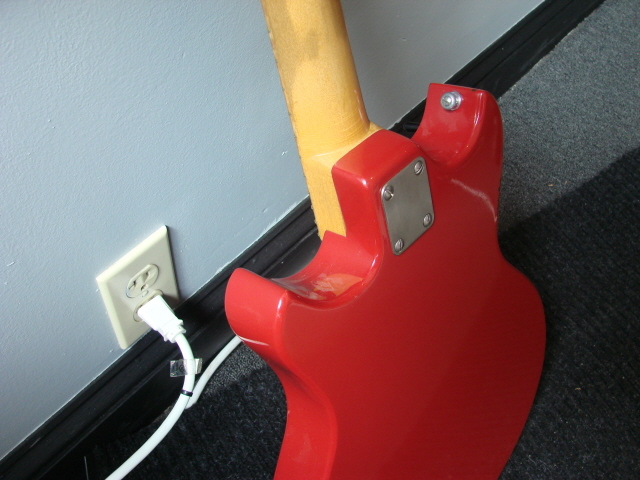 It has simple electronics ala Les Paul style switching. 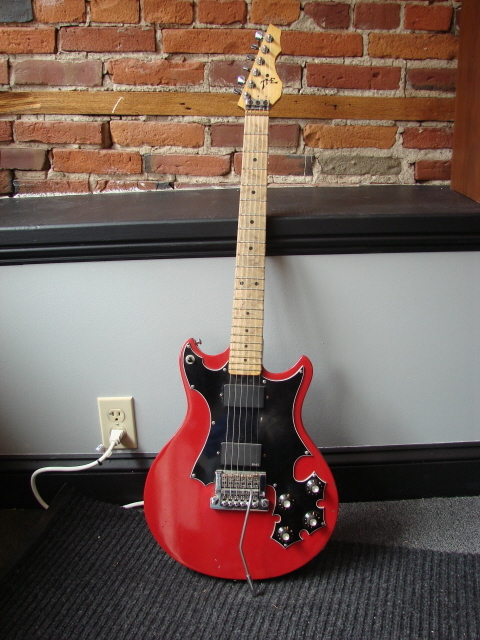 The original pickups, bridge, tail piece, string trees, and case are not included. I have not played this or checked it out closely. Don't know the serial number. Don't know how it sounds and plays. The Kahler installation was invasive and really kills the value here. It's like painting a new hair style on the Mona Lisa! Lesson here. If you don't like your original Time; Sell it! Don't change it! I looked at the Timecaster and took some photos. I agree it's a shame to find one for sale and and see it modified, especially when there are so few around. I'd forgotten about the carved mating of the neck and body. Were all removeable necks done that way? It's an elegant piece of work and if the guitar had been original I (being without adult supervision at the time) probably would have made an offer.